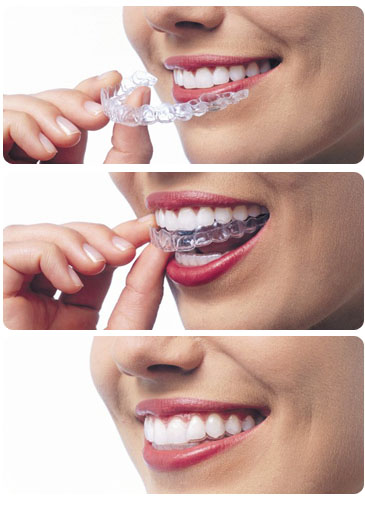 Invisalign is the invisible way to straighten your teeth without braces. This procedure uses a series of clear, removable aligners to straighten your teeth without metal wires or brackets. Each set of aligners would be worn for about 2 weeks, removing them only to brush, eat, floss, or drink. After 2 weeks, we replace the aligner with a new one, and little by little each week you will feel your teeth begin to shift. They will do this until they have straightened to their final and desired position. When the aligning portion is complete, you will visit our office once every 6 weeks to ensure that your treatment is progressing as planned. The treatment time averages 9-15 months. 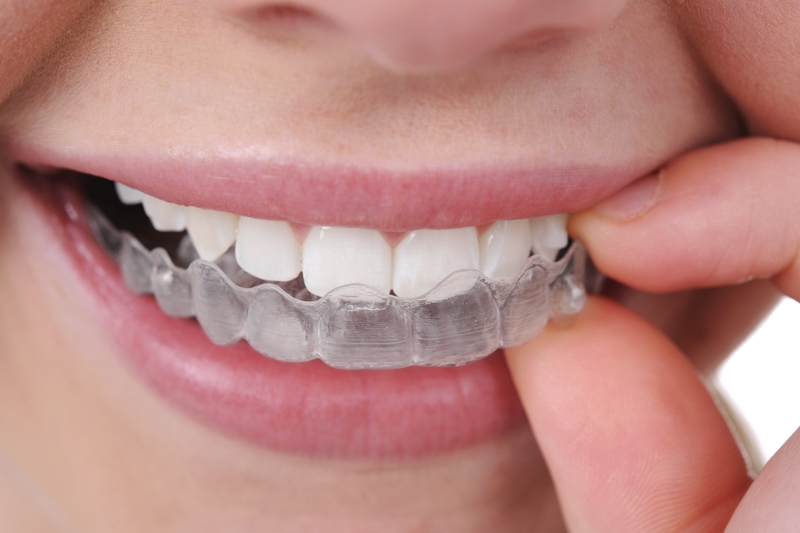 The average number of aligners needed during treatment is between 18-30. These numbers (time and aligners) will vary case to case. If it is a small case, it could be as little as 2 or 3 months!